When we read the book of Acts, it seems obvious Luke intended to write some sort of history of the expansion of the early church from a small messianic sect of Judaism in Galilee and Judea to an empire-wide religion which included both Jews and Gentiles. In the opening lines of the Gospel of Luke we are informed that a main purpose for writing the book was to create an “orderly account” which was “thoroughly investigated” by seeking out “eyewitnesses” to the events recorded. This prologue is similar to any Greco-Roman historian. As one reads through Luke and Acts there are any number of key figures and events which “fit” into the general history of the world. Figures like Augustus, Herod, Pilate, Gallio are all well-known characters. Luke uses geographical references to show the expansion of the Gospel west from Jerusalem to Rome. All of these locations are verifiable and there is nothing in these descriptions which seems strange to a reader of ancient history. (Setting aside Luke’s penchant for exaggeration, “the whole town” did not literally come out to hear Paul’s sermon in Acts 13:44!) Often very simple elements of the book are historical, such as the detailed descriptions of sailing on the Mediterranean Sea in Acts 27. Yet there are some doubts as to Luke’s accuracy. Part of this doubt is the result of applying modern historical method to an ancient writer like Luke. There is an obvious difference between reporting a speech on an ancient document like Acts and a modern work on a historical event. But sometimes the motivation is more theological, Luke is suspected of hiding some information or ignoring embarrassing details. Worse, Luke is suspected of creating an image of the church which never really existed. Let me offer an example: In the movie Selma (2014), the producer Ava DuVernay re-wrote some of Martin Luther King Jr.’s speeches for the film. Part of this had to do with copyright laws for the words and licensing agreements for films, but there is no way to make a compelling film with a lengthy speech, even if it is delivered by an excellent actor like David Oyelowo! DuVurnay wrote “alternative speeches that evoke the historic ones without violating the copyright.” The speeches were “generally accurate” yet served the overall artistic and political goals of the filmmaker. In addition to the speeches, there are vast amounts of detail in the film which can be “fact checked” against the historical record. These may involve order of events, but some a historical window dressing placed in the movie to make the viewer feel they are watching events in 1965. I do not know if this is true for Selma, but this kind of movie often has a car or television in a background scene. Someone notices it is not from the right time period and usually points it out (gleefully) on the Internet. And yes, I often looked up products and song references while watching Mad Men hoping to catch a few anachronisms! One other frustration with a film like Selma is the huge number of historical events not covered in the film. Some of the criticism of the film centers on how LBJ is portrayed, but since I am not an expert on the period I am not worried about this too much. But what about the Bob Dylan and Pete Seeger singing “We Shall Overcome” with King in 1963? As a Bob Dylan fan, this is a very important detail which deserved to be included in the film. The writer of the film would obviously disagree: Bob Dylan was not relevant to her interest and was simply ignored. I suggest Luke did something very similar to this when he wrote the Book of Acts. He had a vast amount of raw data before him, most of which was oral traditions about the activities of the apostles. He did not have mechanically recordings of speeches nor did he worry about copyrights, but he certainly had to edit sermons to fit the page. When he did this, he was guided by his theological agenda and literary methods (as well as the Holy Spirit!) Just as the filmmaker left out a great deal of the story, so too Luke leaves out details that simply do not serve his agenda. Obviously we cannot look at the original transcripts and fact-check Luke, since those no longer exist, but all ancient history has the same problem with reported speeches. It is possible to read Luke as generally accurate about the expansion of early Christianity into the Roman world, the story he chooses to tell. Luke necessarily selected the stories which helped him tell his story and ignored those which did not. Does this make him a “dishonest historian”? Are there other factors (theological, cultural) which may have influenced Luke’s telling of the story of the early church? It seems that Luke’s main goal when writing Acts, was to present the facts he was given in a beneficial and true way. Did he take creative liberties? Most likely, yes. However, do not most authors do that when they are sharing a narrative of others’ lives? It is important that we still take his words at face value, and accept them as truth. “He speaks of real people, places, cities, events, religions, and philosophers. His consistent concern with historical verisimilitude indicates his desire to accurately report the events he claims to describe” (Jipp 9). Luke paid attention to the facts, and then clearly depicted them in Acts. It is obvious that he would have had to pick and choose what information he included in the text. Imagine receiving a multitude of eye witness accounts and then having to sort through them. Luke was an intelligent man, so he most likely sorted through all of the information given to him and found consistent points and story lines and portrayed those. He was also lead by the Spirit when writing the scriptures, so that is another indicator that Acts contains truth. Luke is not a “dishonest historian” simply because he had to pick through the accounts he was given, and choose what was shared in the book of Acts. He chose the stories and teachings that best represented the events in the life of Jesus and His disciples. In verse one, Luke states that he has formerly written of Jesus and His disciples’ lives in his other book, Luke, and in this book, the book of Acts, he would continue documenting them (Acts 1:1). This is important because in Luke 1:3-4 he explicitly states that he was writing an “orderly account…so that you may know the certainty of the things you have been taught.” He documented the stories of Jesus in a way that was Spirit lead and fact filled. Because of his writings, readers have had great insight into Jesus’ life for years. Being that Acts is only 28 chapters, it is clear to see that Luke left out certain parts of history that he did not feel lead and/or were not important enough to be included in the book. Looking at the situation from a human standpoint with no mindset of Christianity and/or religion he could have left certain details and stories out because it is impossible to remember everything said/done in certain situations such as a sermon, argument, or extravagant event that take place. However, in this situation, we are discussing whether Luke placing certain stories in Acts while rejecting others made him a dishonest historian. After careful research, I do not believe Luke leaving out certain stories/details in Acts makes him a dishonest historian. 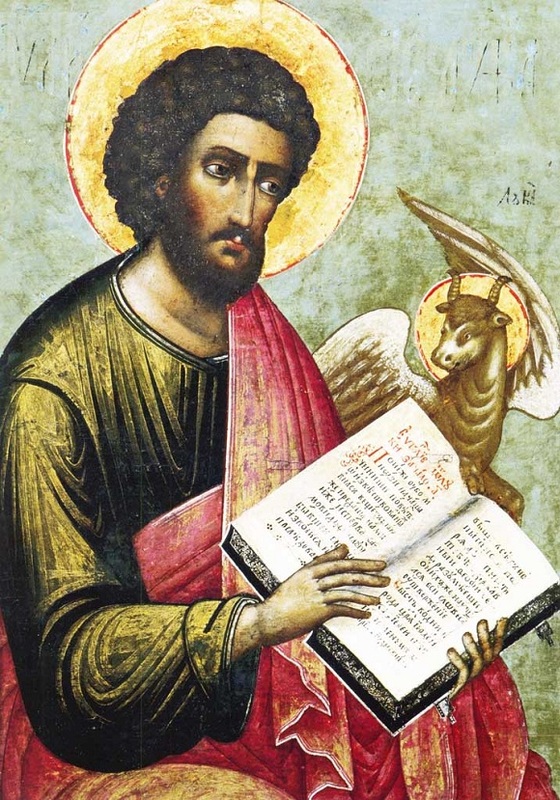 The first reason I believe Luke’s telling’s in Acts were an accurate depiction of the expansion of early Christianity into the Roman world is because Luke was led by the holy spirit when writing scripture. 2 Peter 1:20-21 explains how no prophecy of scripture was a man’s own interpretation but rather it was the Holy Spirit speaking the word of God to the men (Piper, n.d.). 2 Timothy 3:16 also proves that all scripture is inspired by God (Piper, n.d.). “…whatever stands in Scripture is from God, written by men who were carried along by the Holy Spirit (Piper, n.d.).” Being that Luke was led by the Holy Spirit while writing Acts he did not leave out important parts of history to help his storyline. One can see that God does not do this by reading other books in the bible such as in Luke with Judas or with King David in Psalms. God does not erase the messy in the Bible to make himself look better; he invites it in, messy is found throughout the Bible. This proves that Luke wrote what was accurate and did not leave pieces out because he was afraid it would not line up with the story of the church. He simply added what God lead him to write. The second reason Luke was not a dishonest historian is that with the timeframe and technological resources he had Luke included the important information needed for history. For example, look at the Watergate scandal that happened with President Nixon. Can anyone honestly say he knows every piece of important information regarding that piece of history? Certainly not. It would be impossible to document everything that went on and that was with the use of technology. This was the same for Luke keeping in mind that all the information Luke gave in Acts was from memory and manually copied on a manuscript. Although at times he may have left out certain stories or forget details he wrote the information needed for those to learn from it later in history just as we see others have done time and time again in the past and present. The third and last, reason I believe Luke was not a dishonest historian is because his work resembles both biblical and Greco-Roman historiography (Jipp, 2018). For example, Acts showed connection between historical events and pervaded ancient historiography writing (Jipp, 2018). By using certain historiographical features, Luke was proving that what he was writing was taking place. Jipp, J. W. (2018). Reading Acts. Eugene, OR: Cascade Books. Throughout the passage of Acts as well as the readings that are assigned it is evident how Acts has various historical facts that are essential for understanding what is going on during that time. As Dr. P Long stated when looking at history, Luke the author of Acts brings to light the events that are necessary for his purpose in writing and leaves out the events that are not needed or that do not meet his ultimate purpose (God was behind this all through His leading). Divine activity was one element that caught my attention while reading this blog post as well as reading Acts. God through his power is in control of everything and he uses individuals to be an active part in this. God used the various people in the Bible to create His plan even when they really were unable to see the big picture or know which way to turn. God desires human participation in history and our response to what He brings our way will determine the outcome. An example is found when Paul receives a vison in Acts 16:9 of a man who is calling for help in Macedonia, through this divine intervention we see Paul acting to go in that direction because he believed that is where God was calling Him to go. We cannot see the big picture, but God can, and He will guide each individual (in Acts through His Holy Spirit) to do what he had planned all along. “Luke’s account of divine action intersects the fabric of human lives as to respect the impotence of human decision and preserve God’s transcendence.” (Jipp, 24). What a incredible thought to know that God through His divine plan was leading Luke to write what He did and to speak and act as He did. God is leading each individual and through Acts we can be made aware that God has a plan and wants us to do our part in following, interpreting His will and be able to testify to His continual working. In writing Acts, I do not think that saying Luke is a dishonest writer. This is because when the Bible is written, the facts and stories that matter is what was focused on to be written. Giving a detailed step by step chronological facts that would either be repeated or parts that did not benefit the book of Acts as a whole. I believe that Luke’s point was to get the facts and people, places, etc. down that mattered. The Holy Spirit guided Luke in writing Acts and because of this, whatever extra that was left out did not matter and what was written down is what God wanted. Going into 2 Timothy 3:16-17 “All Scripture is God-breathed” meaning, God only put what he wanted into it. It was mentioned that Luke may have left out details in order to fit his own agenda, however this is contradiction because Acts is written by God and God used Luke to write what He wanted, so I believe that it is God that did not see the need to fit in the minor details that did not make it into the Bible. When Luke was also writing Acts, he referred back to the Gospel. “Luke’s prefaces to his Gospel (Luke 1:1-4) and his second volume (Acts 1:1), which indicate his intention to write an orderly, coherent account of the recent events that have taken place” (Jipp, 9). From this, I believe that Luke’s intention was to have a continuation of the details, history and facts that mattered and decided to leave out the details that did not matter because the Bible then would be much longer if we had every single detail and every single thing that happened when it is not much of a necessity. Sarah, great job on your discussion post this week. A part of your post I personally did not think about when writing mine was how Luke mentioned that he already wrote a previous book (Acts 1:1). I think this was a smart point to make because it showed how Luke truly wished for an accurate, coherent order of events (Jipp, 2018). Also, another important point to mention is that in his first book, Luke, no one ever discredits him or protests that he left out important pieces of history. In fact, his book lines up with the other books in the gospels. Therefore, if he was this accurate historian that told the correct plot and details in his first book why would he not do the same for his second? It does not make sense that an individual would write an accurate book of the Bible and then turn the opposite direction and write an inaccurate, misleading book. Another point I found after already writing my decision post was that a great young historian known as Ramsay did not first believe Acts was an accurate telling of historical events (Stewart, n.d.). At this time Ramsay was trying to develop a historical/geographical study of first-century Asia Minor; however, he could not find enough information on Asia Minor until he desperately turned to the book of Acts for help (Stewart, n.d.). After turning to the book of Acts he found it was remarkably accurate and true (Stewart, n.d.). I think stories such as Ramsay’s is important to keep in mind because unlike telling a non-believer Acts is true because it was written by God (2 Timothy 3:16) one is giving them real-life facts to back up what he is saying. This type of example would help both believers and non-believers come to the conclusion that Acts was written correctly and therefore Luke is an honest historian. This is a good point, Sarah. I think it would be remarkable for Luke to claim to be writing an orderly and accurate account and then knowingly make things up to fit a theological agenda. But what about this: do you think Luke might omit something from his story to serve his agenda? For example, he does not record the angry split between Paul and Peter mentioned in Galatians 2, did he omit that becaue he did not know about it, or because he wanted to portray unity in the early church? Acts has the purpose of understanding and meaning all through its chapters. There are multiple hidden meanings and lessons that each Christian can apply to their lives whether in the past generations or the current generation. Because all the information had a meaning and purpose, all knowledge and truth that is proclaimed in the chapters are inspired by God himself. Leading the writer through the spirit. While the chapters were unfolding God had a purpose for each event, story or moment that took place within the chapters. Just like God directed the authors of the books to display the information and knowledge that they did, God will also direct us to a path during our life time and will allow us to write our own chapters with God assisting us. “Acts will go on to describe how Jesus continues to act, teach, and accomplish his purposes in this new stage of his ministry” (Jipp, 12). It’s interesting to me, and to echo what you’re saying, that there is such controversy behind what was left out and what was put into the book of Acts, because there is a clear thread of the story of the early church and the people that helped impact it. There is a certain level of doubt that is going to come up from certain people for the reason that there is the concern for what is left out, but what we as Christians are going to have to focus on is what is in there and the amount of depth that is already there within the scriptures. If you look at books that get turned into movies, there are a lot of parts that get left out of the movie itself. If they had put every single detail from a book into the movie, the movie would be way longer than it already was. I think that Luke was trying to keep this from happening. He had a point that he wanted to get across, but he did not want to make us read through a long tangent that had nothing to do with the expansion of the church. This being said, I do not think that this makes Luke a “dishonest historian.” “He speaks of real people, places, cities, events, religions, and philosophies” (Jipp 9). Luke was not giving us false accounts about the people, places, or events that happened in Acts. Luke was using the accounts he had and giving us the real people and events that happened during this time. Another reason that I believe that Luke is not a “dishonest historian” is because all scripture is inspired by God (2 Timothy 3:16). Luke was given accounts that he had to go through and decide what was important to put into Acts. However, he was not making the decision by himself, but with the help of God. It may seem like that Luke was leaving things out but, in all actuality, he was putting the things in there that was necessary to get God’s point across. Yes, we have already established that Luke had a point to make, but God also had a point to make, and just like all of the other books of the Bible, he used Luke to do it and he guided Luke throughout the whole process. Finally, the last reason that I believe that Luke was not dishonest is because of the fact that when the historical information of Luke’s account was tested or verified, his events came out looking reliably accurate (Jipp 9). Throughout the Bible, it tells us to seek the truth. So, if the things that Luke is telling us are coming back as true, I believe that this is a good indicator that Luke knew what he was talking about. Luke was not leaving stuff out to lead us astray or to trick us. He was simply trying to help us learn about the expansion of the church and what God’s purpose is for us back then and now. It seems quite clear that Luke was writing to get a point across. In doing so he could have left out important parts of history or his own account. Although he was not being dishonest, he was being a writer. Writers have to make decisions based on their purpose. The purpose of a history text book is to get all of the facts of a certain time period across. Luke was not writing a history text book. He was instead writing a historical non-fiction. If his book made it so far as to be apart of the Bible that is now translated into almost 1,500 different languages then it would have had to be a God inspired text. 2 Tim 3:16 reminds us that all scripture is God breathed. He may have left out things that were happening, but God was guiding his decisions. What he wrote would impact every single reader, I think that is why he left out embarrassing stories and (seemingly) useless parts of history. Instead he chose to talk about the works of the Lord and the Church rising up in faith. I find the absence of information given by Luke slightly worrisome. I understand that for the sake of an audience, a story may need to be shortened or made more interesting. The problem I have with this is the impact Lukes tellings would have on the world and the lives that would be affected. It is hard to judge what he might have left out, but I can only hope that it was insignificant in getting his point across. I suppose a reason for leaving information out and telling it the way he did could have something to do with his surroundings and the culture at the time. Maybe he had specific groups of people in mind and was seeking to adapt so that they would fully understand what he was trying to say. The information that he did release was of utmost importance, and maybe he told it in a way that was easier to understand, rather than giving a lengthy history lesson. I don’t believe that Luke is a phony or a “dishonest historian.” I believe that his intentions were honest and valid, and because he is orderly and put together, I believe that he had a specific purpose and reason for the way the information was given. The thing I find to be most important is that Luke was inspired by the Holy Spirit and the Holy Spirit is prominent in the book of Acts (Acts 1:16, 1:8, 11:12, 13:2…). It is interesting to think about the idea that Luke left out and only inserted certain stories that fit his agenda. However, does that mean that what he wrote in the book of Acts is untrue? Or does it simply mean that he included true information that was relevant for the story that he was telling? In my science in culture class, we have been learning about how experiments and the different views on them. One view states that we must be completely objective in the information that we record as data. However, another view states that if the way that we record this information is all objective and random then we will end up with a bunch of random bits of information and no real understanding of what happened. To my understanding, the same kind of rule would apply to Luke writing Acts. If he had chosen every random bit of objective information that he had received and heard, the entire book of Acts would have been extremely long and full of many bits of unrelated information that do not get a real message across. I believe that Luke may have used his discretion to include stories and information that were relevant to the story that God was trying to get him to tell and write about. It is evident that the Word of God is God-breathed, meaning that it is the inspired word of God. I believe that God has enough power to be able to get Luke to write exactly what God wanted to be in the book of Acts. If we believe that Scripture is God-breathed and we start to doubt the integrity of what Luke wrote in Acts, who are we really questioning then? Luke’s ability to correctly record events that occurred or God’s ability to use Luke to correctly write the book of Acts? After reading this, I have a few thoughts on Luke’s intentions behind acts. Though it seems as if he purposefully left out certain details, I think that he did it to bring a positive look into what was going on with the church and the accounts of the eye witnesses. I am sure that there was information he receive that possibly did not fit the criteria. As Jipp mentions, Luke used several techniques in order to form the information into something that fit both biblical and Greco-Roman historiography to show their commonalities. An example of this would be “showing causal connection between historical events” (Jipp 7). In order to articulate, as well as get the information structured orderly, I think that it would make sense to prune out the information that did not seem to have value within the purpose of his mission. I am sure there are other stories from eye witnesses that he was given, but I am sure this process was very selective on criteria. In Luke 1 the author clearly mentions that they want to write an orderly account. This seems to be continued in Acts 1, by continuing to document the doings and teachings of Jesus, as well as the acts of the Apostles following the ascension. There is no denying that Luke had a vision and that he had a certain plan for how he wanted the book of Acts to look. He definitely made it missions focused, and there definitely is a possibility that there were certain things that Luke left out of the book of Acts. However, there was a clear reason for it; Luke was looking to show the history of the early church and to show how the certain characters such as Paul help grow the early church, and show their missional impact throughout the early church (Jipp 7). We cannot truly know the full extent of what exactly was left out of the initial writings of the book of Acts, there is a lot of historical content already in there and there has to be a certain trust that what is in there is there for a reason and whatever isn’t just simply didn’t fit in Luke’s narrative vision, or in God’s vision as well. As Jipp mentioned, there is a clear reason for the book to be written. “Luke’s stated purpose, is that his audience would have some level of certainty and confidence in the truth of what he narrates (Jipp, 9). After reading this post, I also realized that there is another reason that he wrote this post. There is a historical reasoning behind this. The Gospels deliver a specific message in the Bible. For example, the parables are something to look at. Although, they are found Matthew, Mark, and Luke. Acts does have some similarities. As you mentioned, it is easy to read what Luke said and look at the expansion of Christianity. This is what Acts and the rest of the Gospels did. There was also another reason that I found this post very interesting. This was where you compared it to the movie “Selma.” Personally, I have never seen the movie.”But, after your explanation, I believe that Luke did write this like a movie. He did have a lot of raw data in front of him and that is what he used for the book. This caused a sense of question for the rest of book. This is also, because he left a lot out of the book (Long, 2019). Luke was not there and did not have everything written down. To conclude, I fully believe that the book of Acts was written for a specific purpose and it is meant to give the reader something to look forward to, due to the lack of putting everything in the book.